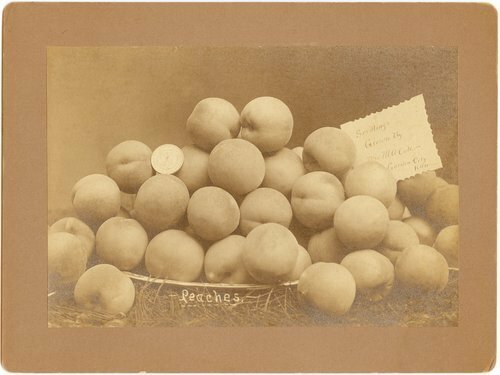 A photograph of peaches grown by Mrs. M.A. Cole in Garden City, Kansas. The photograph also shows a platter in which some of the peaches are on, a coin, and a note.